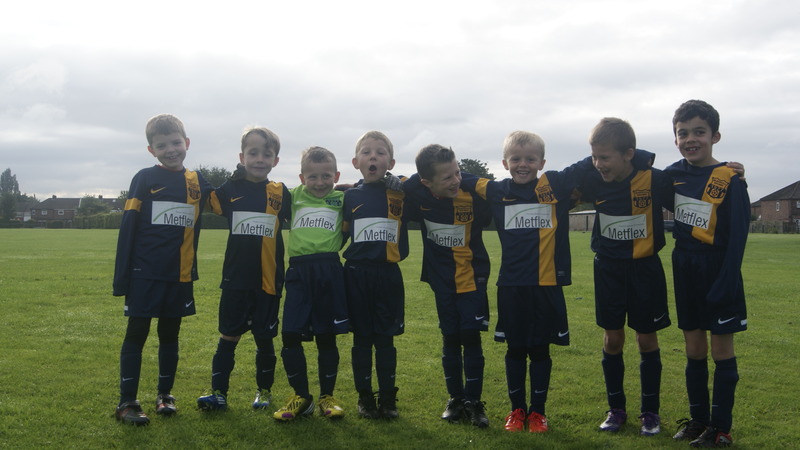 Metflex are pleased to be sponsoring the kit for the under 7 boys football team at Bleak Hill Rangers, the team are coached by our very own Paul Tilston. Paul and the rest of the backroom team give up many hours of their time to coach the Boys and Metflex are pleased to provide the kit for the team. Bleak Hill Rangers are based in Eccleston, St Helens and the under 7s play in the St Helens and Rainhill Alliance league. Who knows one of these young players may be the Lionel Messi of St Helens and gracing the hallowed turf of one of our local teams in the near future. Metflex are pleased to be playing a small part in the development of these young players as well as supporting a great club. We will be watching the development of Bleak Hill Rangers over the coming months and years and will keep the website updated on the progress of the team. A link below takes you to the Bleak Hill Rangers site from everyone at Metflex we wish them good luck for this season.